Tickets may be obtained in advance through Malvern Theatres box office, open 9.30 am to 8pm Monday to Saturday, either in person or by telephone on 01684 892277 (all usual cards accepted). The above price includes the Malvern Theatres booking fee. Bookings may also be made on line by clicking on the link below each film on our 'Film programme' page or by going to www.malvern‑theatres.co.uk then clicking on the appropriate day on their calendar. Tickets for the March weekend will be offered at £5.00 per film when any three or more films are booked at the same time. 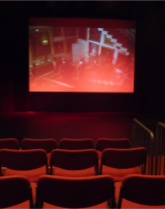 The Malvern French Film Centre operates a membership scheme under which a subscription of £30 is payable in advance, and admission to each film then costs only £1. This represents a significant saving to members if they see at least ten of the fifteen films on offer. 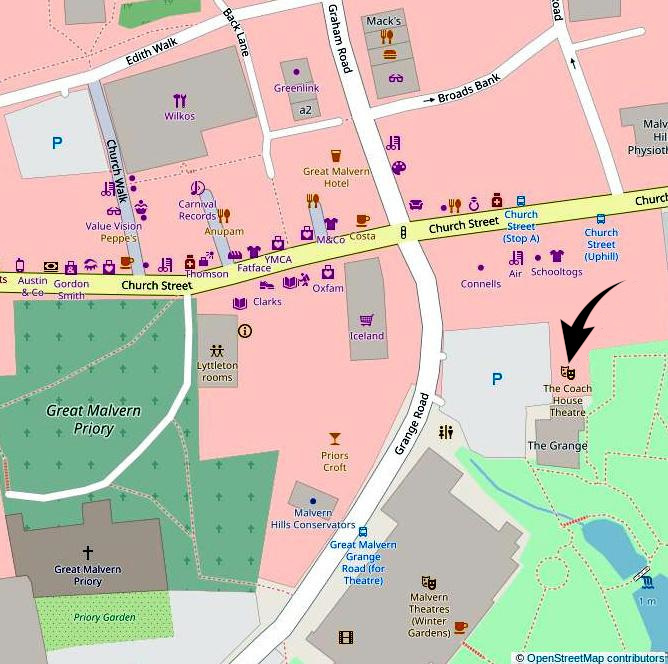 The Coach House is situated near the centre of Malvern, off the Grange Road car park, adjacent to the Malvern Theatres complex. 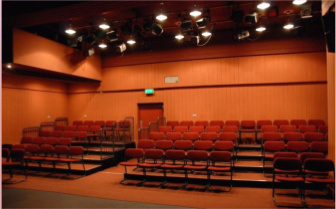 is available to hire for use as a theatre performance space, for film showings, for presentations or for small to medium-sized meetings. The Coach House has a modern high definition projector and can reproduce full surround sound from multi-tracked films.